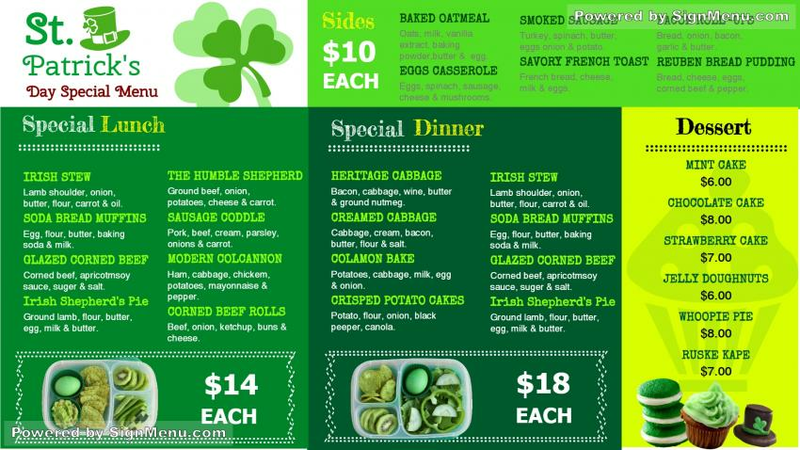 This template of a full service restaurant with St. Patrick's Day's special menu, is best showcased on a digital screen / menu board and placed at the entrance of the restaurant as well as indoors. Restaurants like these look forward to special occasions to innovate on their menu and come up with esoteric items to delight their customers. Further, digital software technology has enabled restaurants several benefits including remote control operations, better customer engagement, and better coordination of logistics & inventory. This template is ready for download and use.